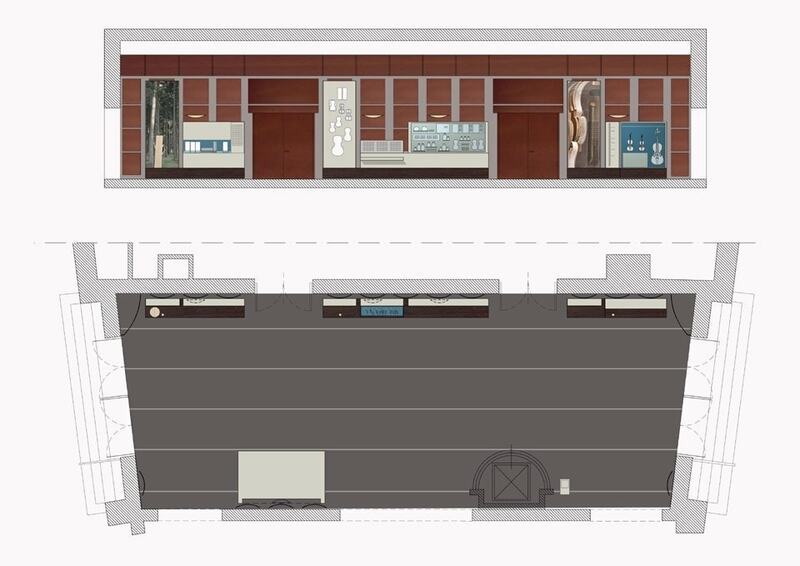 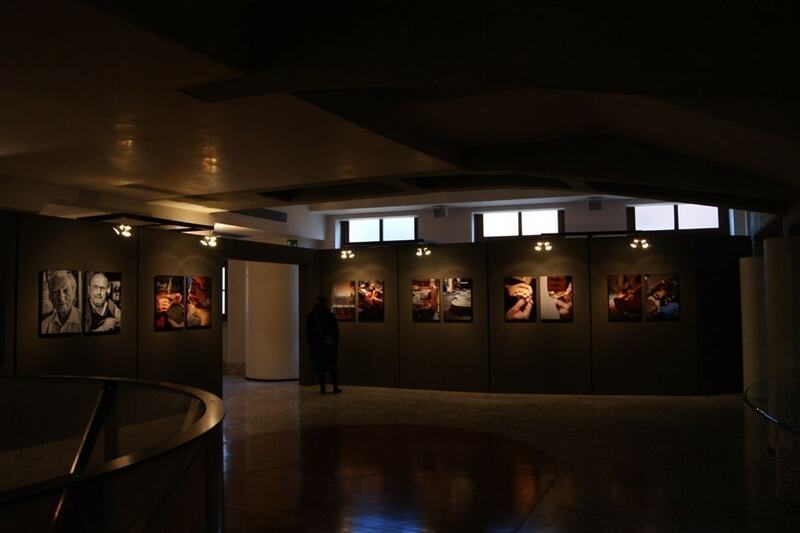 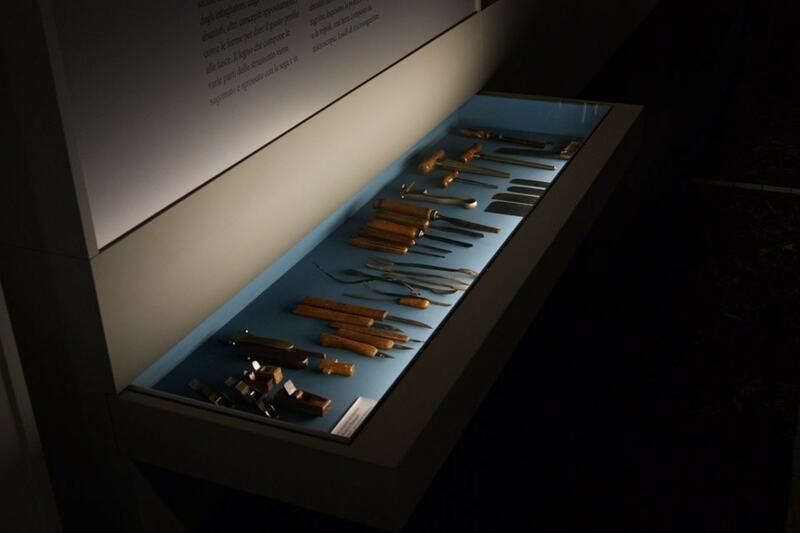 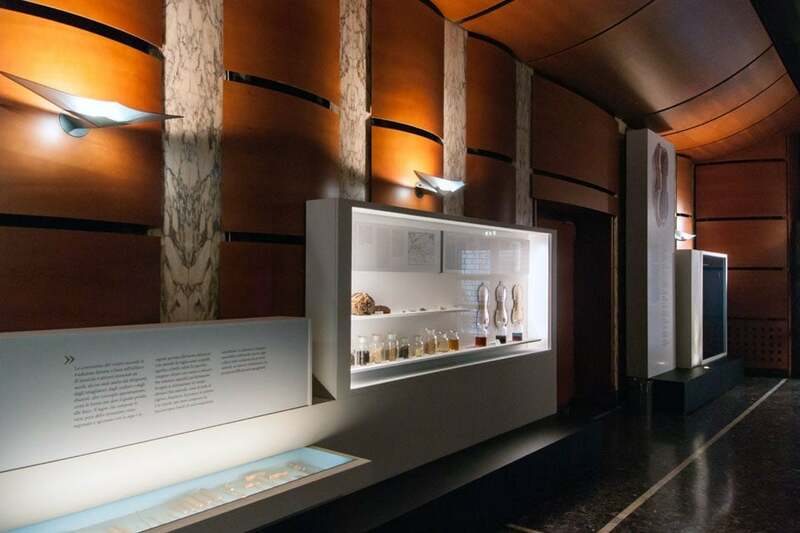 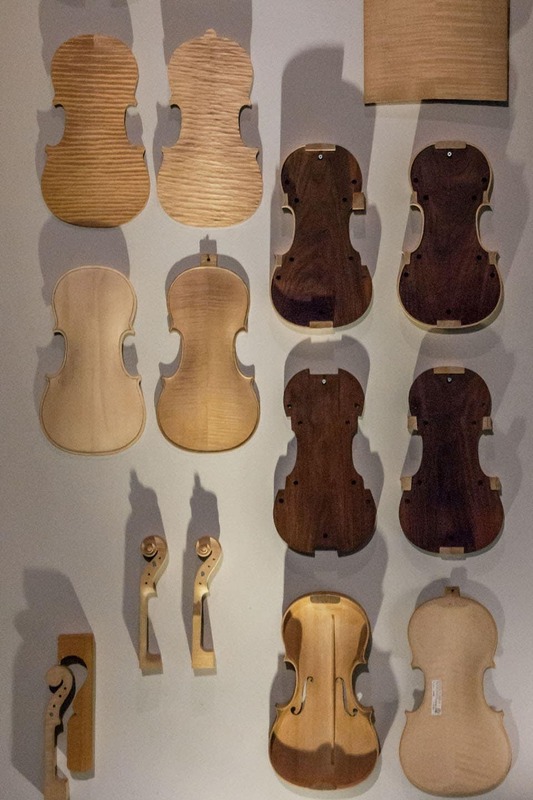 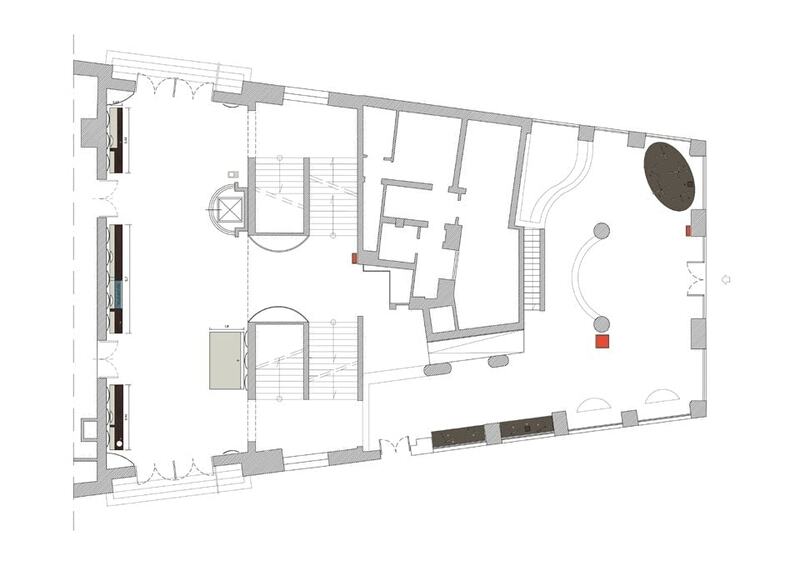 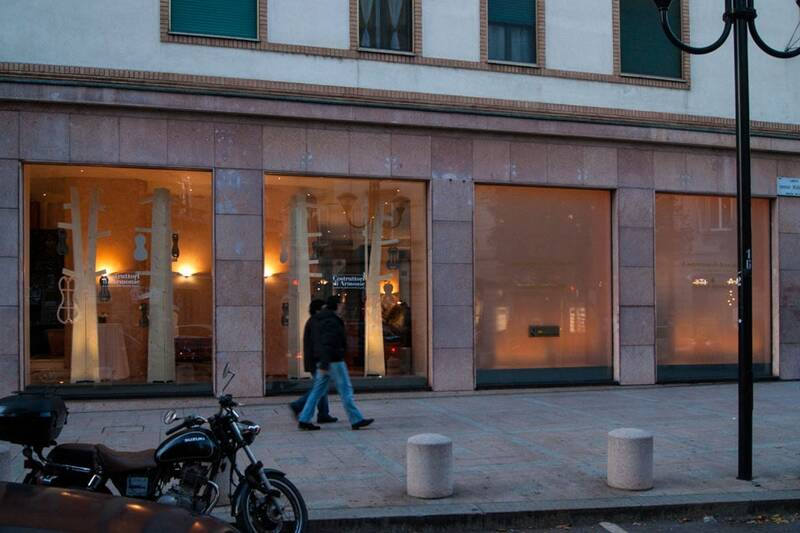 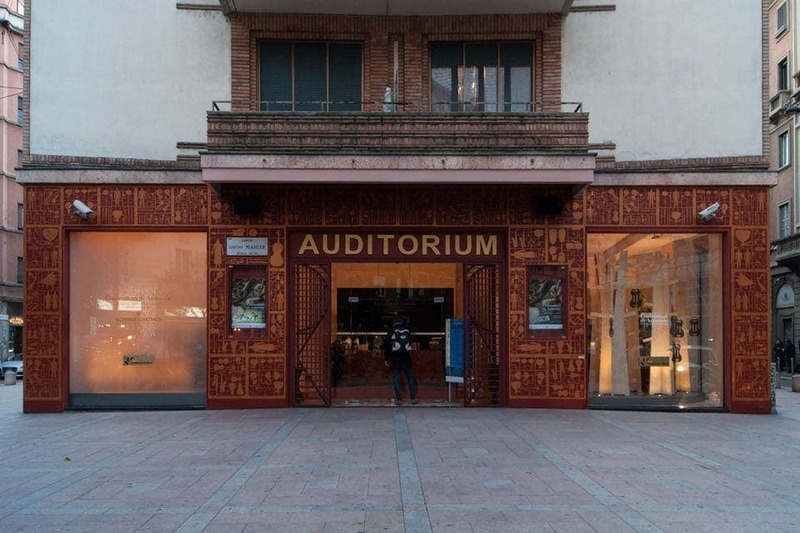 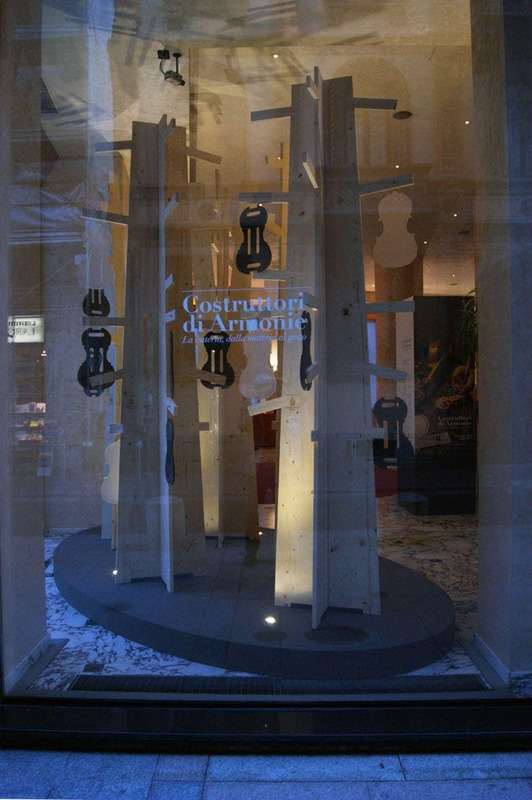 The exhibition “Costruttori di Armonie”, installed in the “La Verdi” Auditorium in Milan, was aimed to familiarize the public with the world of violin-making. 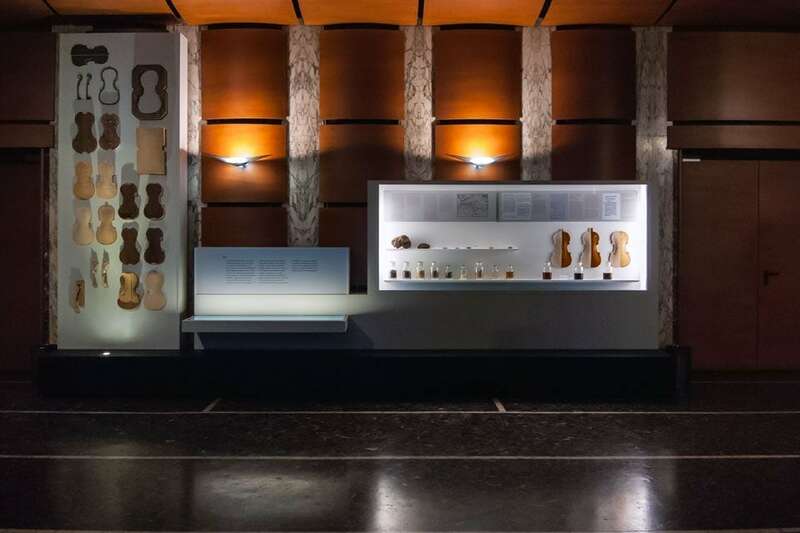 Through a diverse set of installations, the visitors were introduced to a craft activity which comes from the past but is still lively and productive today. 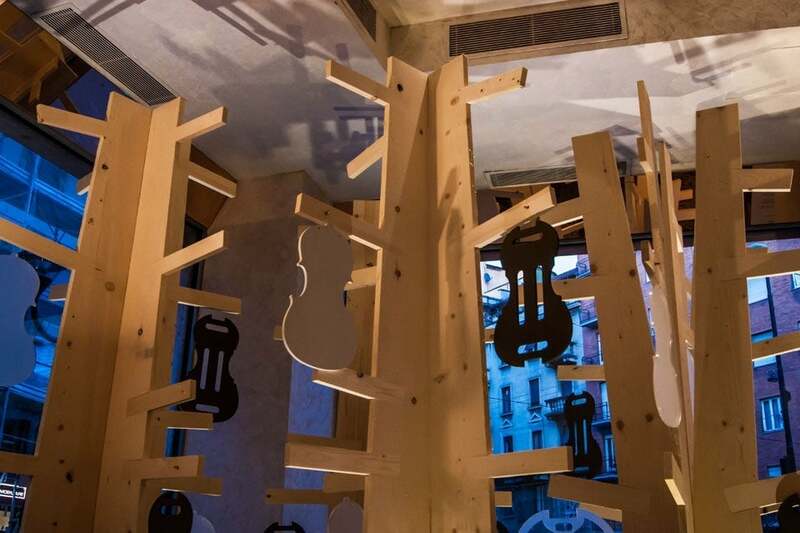 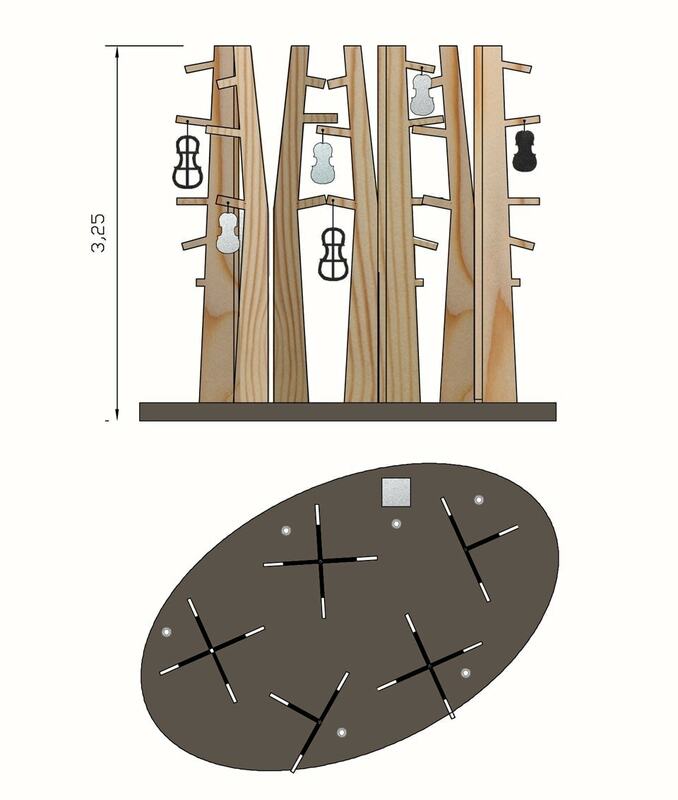 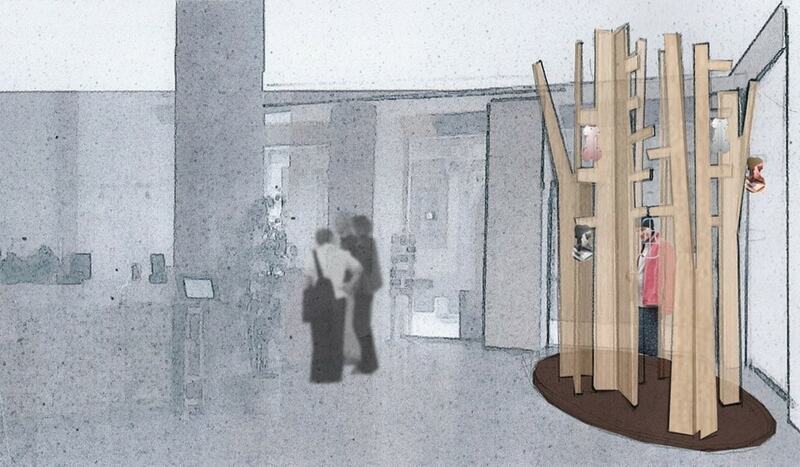 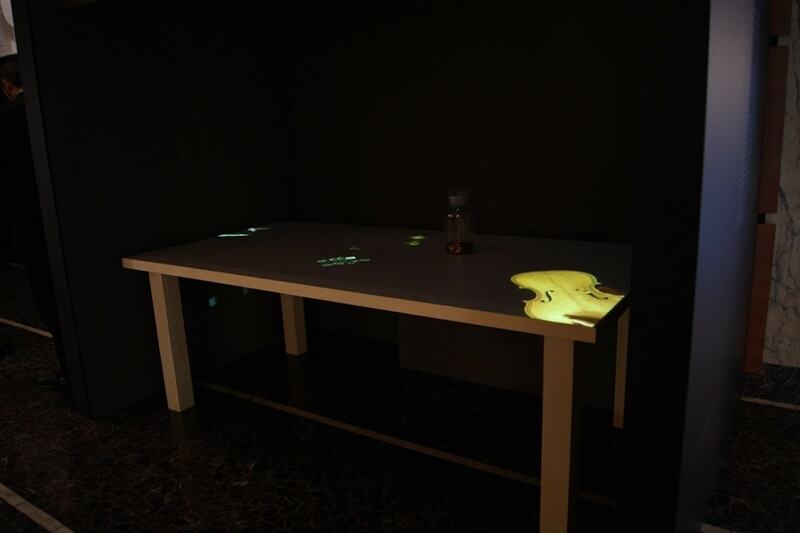 The installation dedicated to the forests of the Val di Fiemme, from which the tonewood for stringed instruments originates, and a wall installation presenting varnishing tools and materials, introduces the theme of violin-making through material samples, the colors of the pigments, and the smell of wood, while the multimedia installation “The luthier’s worktable” and a photographic gallery depict the skillful work of contemporary violin-makers.